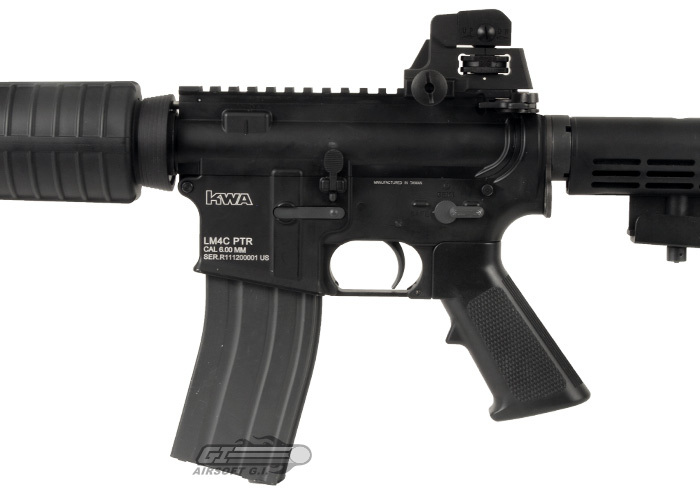 The KWA LM4 PTR GBBR is a game changer for the airsoft world. The LM4 PTR brings together two characteristics of gas blowback rifles that traditionally remain separate, affordability and reliability. The KWA LM4 PTR has taken many years to engineer and assemble and it's finally ready to come to market. The upgrade factor is something that KWA aims to address with every gun they release, because they don't want the player to have to upgrade their guns in order for them to have a good time, and that's exactly the type of mentality that built the LM4. The majority of the gun is constructed of aluminum, such as the receivers, barrel, and buffer tube, while the hand guard, pistol grip, and stock are constructed of a high grade polymer, just like a real rifle would be. 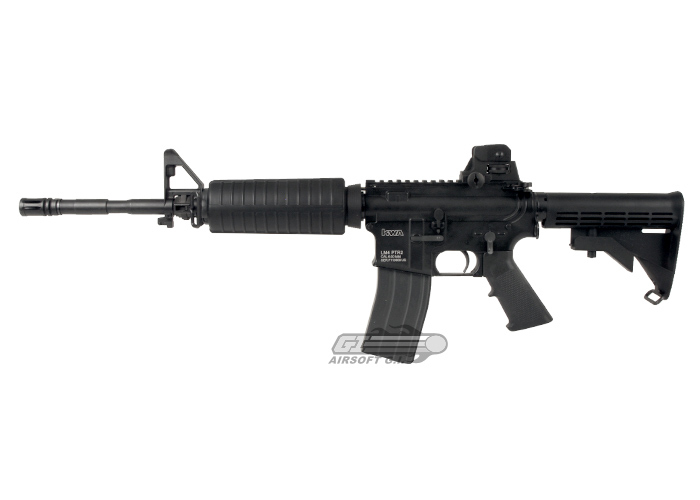 The bolt movement is crisp and the recoil is very direct, and feeling that this gun gives you while being fired is unmatched by any other gas blowback M4 on the market. The construction and feel of the gun are second to none. Another very impressive feature of the LM4, and one of the key components in making the gun operate smoothly as it does is the magazine. The magazine holds the gas to operate the gun and the 40 rounds of ammunition. The guys over at KWA have taken their years of experience constructing high quality gas pistols and magazines, and used the knowledge they've gained to engineer the LM4 PTR magazine to be as powerful, efficient, and user friendly as possible. For example, the top of the LM4 PTR Magazine is made of high impact polymer whereas the rest of the magazine is made of metal. 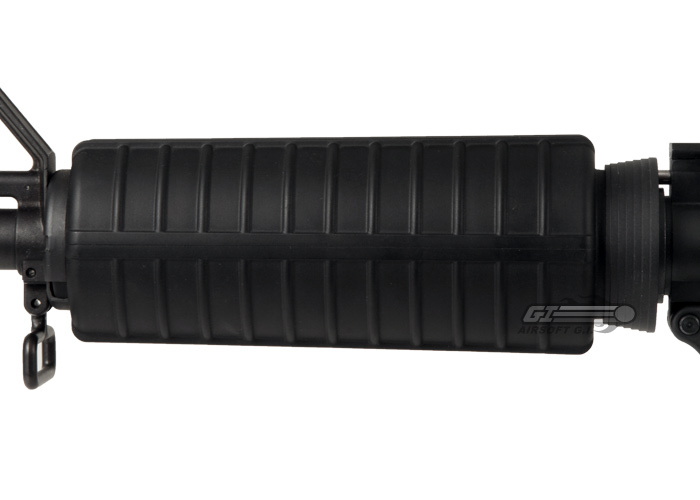 KWA has done this for two reasons; first, the top of the magazine will be much more resistant to breaking if dropped, and second, the magazine top and feeding lip can be replaced and the magazine can be rebuilt should it become necessary. The LM4 PTR is an amazing rifle that has been engineered from the ground up to be the first and last gas blowback M4 that you will ever need to buy. All KWA guns, including the LM4 PTR, and even their magazines, are engineered to out perform. when i first recieved my rifle, the hop up was damaged so I called KWA and I just had to ship them the gun and they took care of the problem but sadly I put to much accessories on it and it voided the warranty but it was a cheep fix. After I got the rifle fixed and I could use it, it was amazing. The recoil was great and very satisfying, the accuracy was pretty good I recommend .30s for best performance though. I also love the feel of the rifle. It feels very high quality and the take down is very simple. The magazines are very nice. That weigh as much as a real AR which bumps up the realism. Overall thid rifle is great and I recommend it to anyone who wants a GBBR. This gun is so realistic it is unbelievable. I purchased this as my first airsoft weapon and was initially pleased with the realism. The functional bolt carrier and cycling operation are smooth, and while lighter, feel very much like the real steel counterpart. However, my experience went downhill from there. I have had nothing but double feed issues and it dumping gas since the first time I fielded it. I took it back to GI within two weeks of purchase and instead of doing an RMA like it should have been they told me my bucking was torn and needed replacing. I have since upgraded to the RA tech hopup and EVO bucking/steel tensioner. While this fixed my short distance issue, nothing has fixed the double feed problem. I honestly would not consider this a fieldable weapon and would recommend a different platform like GHK. Then again maybe mine is just a lemon. does the flash hider come off? is there any orgaen tips I can use for it? The gun will ship with an orange flash hider, but the threads underneath are 14mm negative. Does this come in a tank color? If not I want the part that as it show on the gun but in tan, cant I find them here ? What could be the best M203 Grenade launcher mount?? 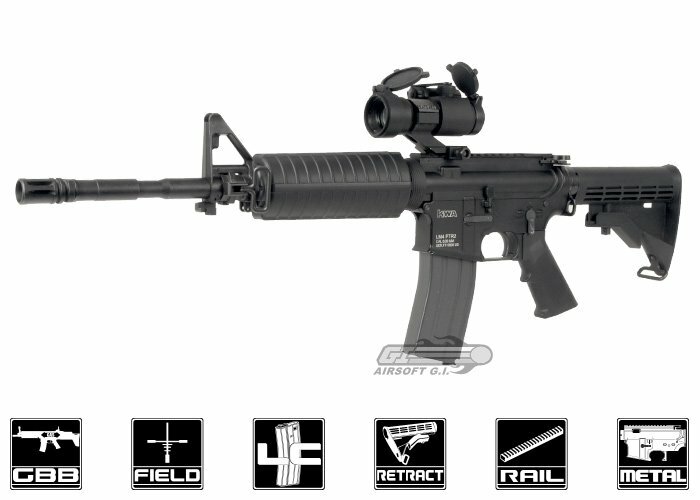 You would want to go with the underbarrel direct mount, or you could get a rail system and use a RIS mount. Being that this is a GBBR, you may have to do some modifications to get it to fit properly. 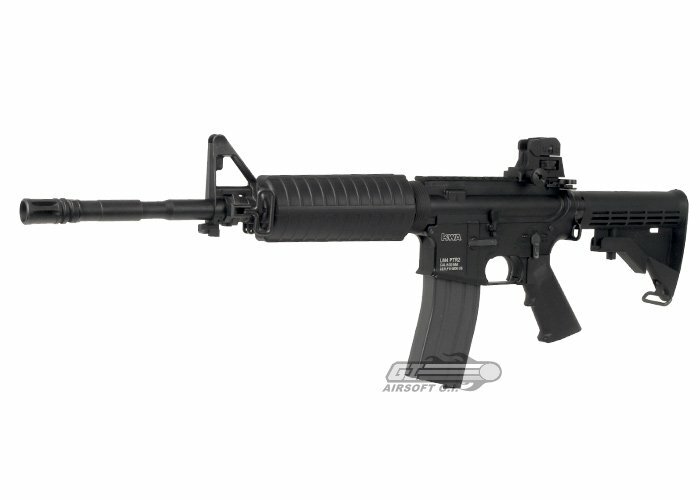 The Classic Army M203 would be an excellent choice. Safe, Semi, and Full. 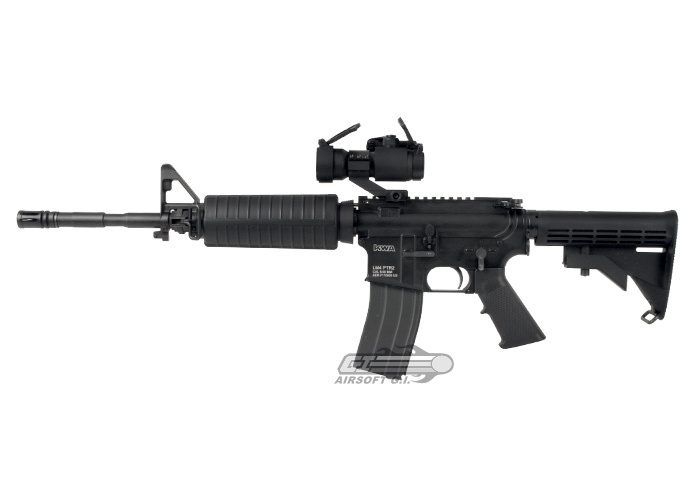 The <a href=" https://www.airsoftgi.com/product/PTS-Mega-Arms-308-MML-MATEN-M-LOK-Rifle-GBB-Airsoft-Gun-Black-31221/ "target=blankï¿½> <font color=blue> PTS Mega Arms 308 MML MATEN M-LOK Rifle GBB Airsoft Gun (Black)</font></a> does 3 round burst. would an r hoped miracle barrel be compatible with this?? The front handguard and sight can be removed. 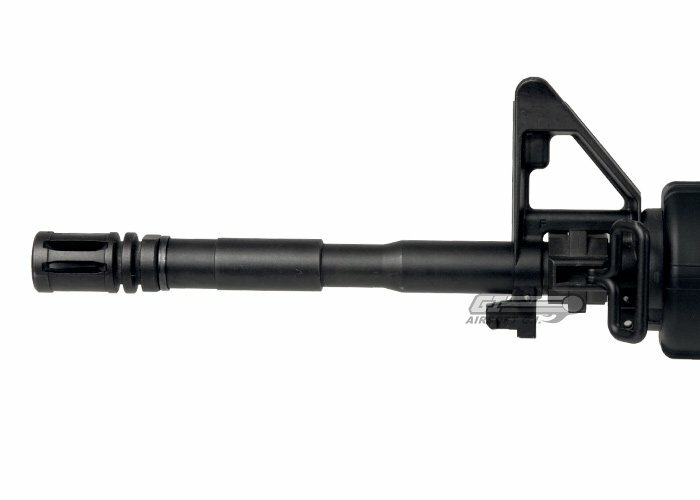 If you guys had to put a high quality barrel on this gun like a madbull of some sort, which one would fit and prform the best? Also would a Madbull 9.5" Daniel Defense MK18 RIS II fit on this gun? Our tech department is able to install many different types of rails for custom work, assuming the items are supplied by the customer. It may work, however, it may not function well in that cold of weather. Is it CCW or CW? What are the measurements? Any rail system should be able to mount to this gun. What is the inner barrel length? I am wondering what the barrel length is. It should come with a 370mm length inner barrel. What externals are mil spec if any. For instance the lower receiver and buffer tube. Everything including the pistol grip, buffer tube, hand gaurd, barrel, and rails should all be MilSpec. Does this gun take CO2 mags? 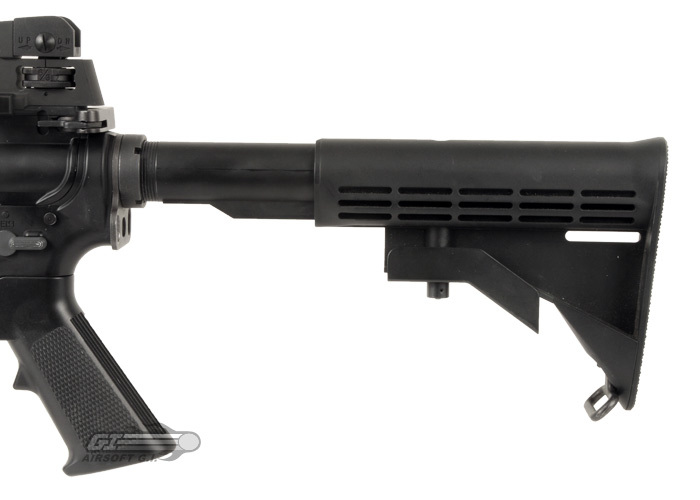 Is it just a green gas gun or can you use an M4 GBBR magazine that is used with CO2? What type of bbs would you recomend for this gun? Im wondering if this gun can use 0.25 gram 6mm. bbs. The best weight of bb's for this gun would be .25g and higher. Will this take the kwa lm4 "pmags "
Yes it does work. Marq uses the P-Mags in his LM4. ow would i put a free float handguard on this rifle? You would need to remove the front sight and delta ring then the Madbull Noveske should be able to thread on. Is the buffer tube mil-Spec? It should be a Mil-Spec buffer tube. 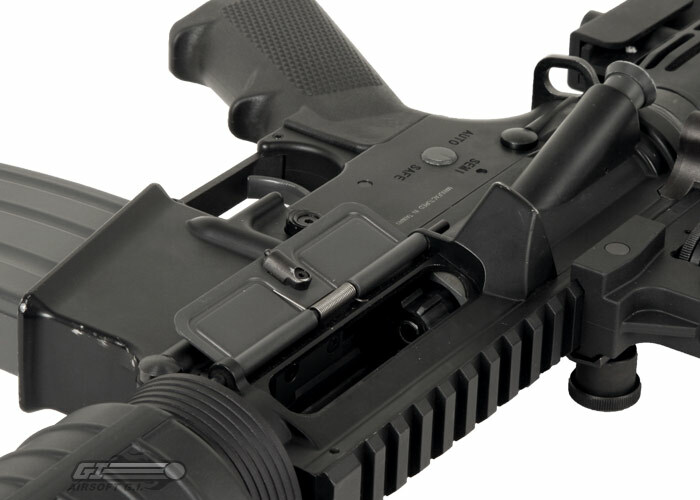 Can the stock handguard be removed and replaced with a quad rail handguard? I have not tested the items you are referring to. However, they should work together. I would be surprised if they did not. 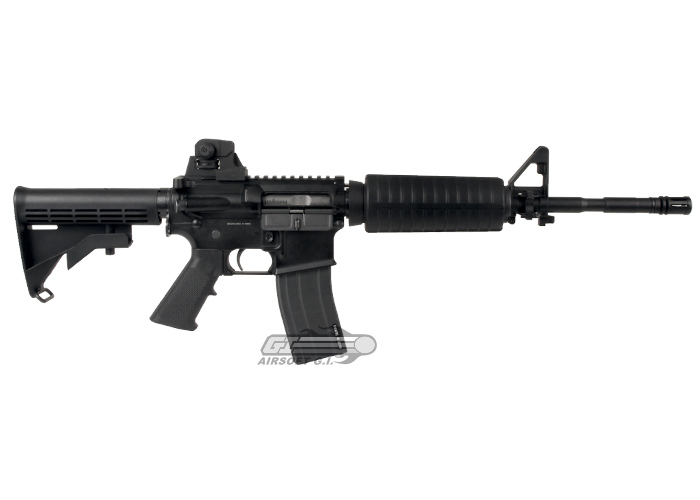 This gun should use a standard 6.5" plastic M4 handguard. Also is this a CW(Positive) or CCW(Negative) thread? Just wanted to know for future reference if i get a new outer barrel, thanks. It should have CCW threads on the end of the barrel. Does this rifle take ONLY KWA LM4 mags? I've been searching for other mags as well and none look like they would fit but I guess it's better asking the pros. Yes, currently the LM4 will only take LM4 magazines.